Fred was a teacher and environmental educator for his whole life. He moved to the Santa Cruz Mountains Bioregion in the 1960s where he taught high school in Pacifica. 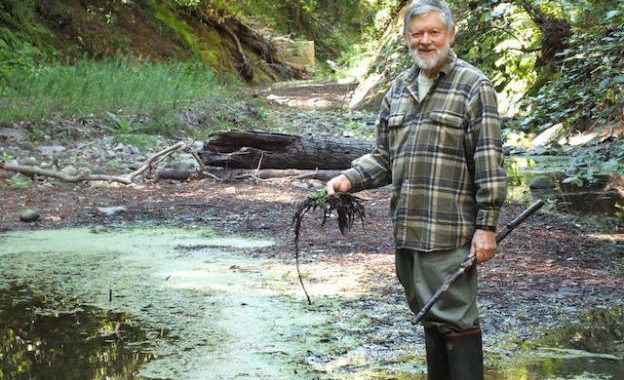 He soon moved to Boulder Creek in the San Lorenzo River Watershed where he lived for over 50 years and spent much of his time on efforts to safeguard and enhance the San Lorenzo River. He became an adept and highly accomplished videographer – producing videos with his wife and lifelong partner, Roberta, about the places and things he loved and that he wanted us to also love and to protect. His videos will keep his teaching active long into the future. His most recent video, Exploring the Turkey Foot of the San Lorenzo River, was shown at our last Board meeting to great acclaim. 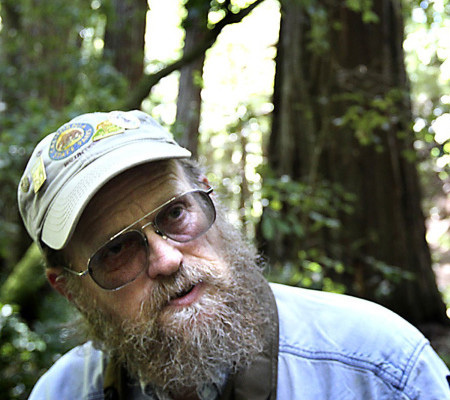 Many of his videos can be seen on Youtube.com, under the subscription name, “Santa Cruz Mountains Natural History”. Fred will be greatly missed by all of us on the Board, and in a broader sense, by the world we all live in. We will miss his knowledge of and passion for nature. We will miss his friendship, his congeniality, and his wisdom, knowing that through his optimistic and gracious nature, he was giving us all lessons in how to live. Although this is a sad time, we are heartened in the knowledge that his spirit lives on within his many former students, the many colleagues he shared his knowledge with; and in the redwoods in our forests, the steelhead in our streams, the native flowers in our grasslands, and all the native plants and animals that live in the many different watersheds found in the Santa Cruz Mountains - a Bioregion that he loved so much. A brief biography of Fred can be found on our Directors Biographies page. Also, Fred was interviewed about his life in 2017 by Grey Hayes and Marcia Sivek, and this podcast can be accessed on Be Provided Conservation Radio at https:player.fm/series/beprovided-conservation-radio/fred-mcpherson-environmental-educator-hopelessly-in-love-with-nature. A total of 15,364 of the world’s scientists co-signed a warning to humanity of the imminent and dire threat to the earth posed by human-induced climate change, biodiversity losses, and other acts of environmental destruction. This is the second warning. The first was issued in 1992. This new warning reflects growing concerns as nations, including the United States, have failed to make sufficient progress in dealing with these problems. The warning is in the form of an article in the November 2017 issue of Bioscience which uses graphs to show the decline in nine key environmental issues. Among the 15,000 scientists signing on to support the article was Dr. Betsy Herbert, who signed as President of the Santa Cruz Mountains Bioregional Council. This is the greatest number of scientists to ever co-sign and support a scientific article. You can read the article here.